I am writing to discuss the situation in Afghanistan in terms of the less-mentioned points. I am saying less-mentioned points, because firstly I graduated from philosophy, which may offer you a new perspective. Second, I want to share my own experiences, rather than official reports which are available easily. Afghanistan is a country which still has few reliable demographics. 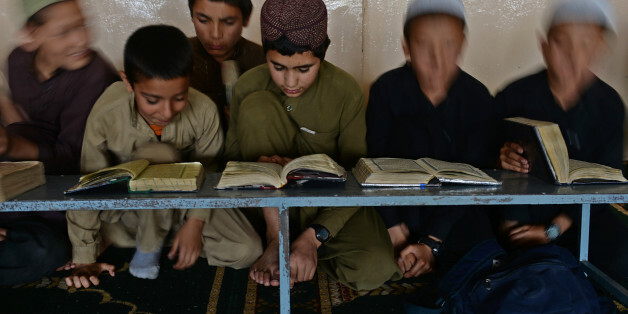 Only a recent report by the U.S. Special Inspector General for Afghanistan Reconstruction (SIGAR) pointed out that Afghan Ministry of Education officials had repeatedly been profiting off of aids for the schools that actually didn't exist in the country. The report stated that the donors had been provided with fraudulent data and statistics of schools. So the United States might have paid aid money for schools that did not exist. Since this is related to public education which cares for little boys and girls, how can we trust in statistics related to critical issues like academic freedom? So let's take a look at Afghanistan in general to know the background. And then we will take a closer look at academic freedom. Afghanistan, culturally and politically, is considered as a part of the Middle East. The great Pakistani poet and intellectual, Muhammad Iqbal, called it "the heart of Asia." It is bordered by Pakistan in the south and east; Iran in the west; Turkmenistan, Uzbekistan, and Tajikistan in the north; and China in the far northeast. This geographical spot tells us that what we can expect to hear from Afghanistan is associated with international policy on one hand and the Middle Eastern societies on the other hand. Its thousands of years of history made Afghanistan a cradle of ancient civilization. Through history Afghanistan has been target for numerous military campaigns including Alexander the Great, Muslim Arabs, Mongols, British, Soviet Union, and currently the Western powers led by the US after 9/11. Over 99% of its population is Muslim with majority of Sunni-Islam. During the Islamic period, Afghanistan has produced many world-famous figures of Islam including: Abu Hanifah, the founder of the largest school of Shariah within Islam, al-Farabi and Avicenna the great Muslim philosophers, al-Afghani the father of Contemporary political Islam, and Rumi, the favored Sufi poet. Alongside Iran and Turkey, it is among the first countries in the region which began modernization, establishing constitution, sending girls abroad for education and the like in 1923, around a century ago. 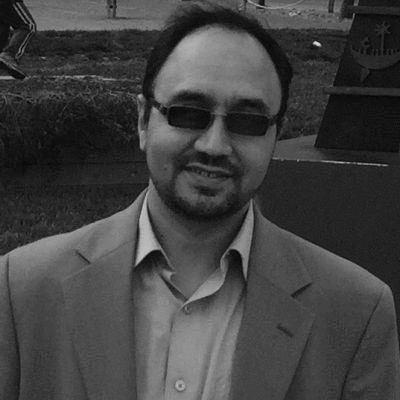 Over the last decades, this process of modernization through many evolutions and revolutions leads to the current Afghanistan which illustrates a deep crisis in both the national and religious identity. I am so sorry in expressing the negative points, but I think I have to talk about them because by ignoring the tragic events we cannot overcome them. First, religious authority. In Afghanistan, like many other Islamic countries, modern schools are known in contrast to traditional schools or seminaries (Madrasa). This indeed reflects the opposition between modern and traditional schools, and thus, Mullahs and intellectuals. Unfortunately, many religious issues are considered taboo like the necessity of the Islamic state, the real meaning of Jihad and so on. Also the three decades civil war has resulted in people being far from education and more religiously fundamentalist. New Madrassas are growing up, particularly by Saudi Arabia's funding which promotes a very restricted and literal meaning of Islam. This limitation implies that academics do not touch the fundamental concepts of current situations. Second, political powers. For many reasons including the political process of modernization, extension of Marxism, Jihadist Islam, tribe tensions, failure of national identity, and most importantly loss of previous order, there are many local powers in Afghanistan who cannot tolerate to be criticized in academia. Ironically, you can openly criticize the central government, due to its dependence on international funds, but not the local and regional power, for example the governor of Balkh or Nangarhar, or tribe leaders. If you are not supported or at least connected to another local power, it is impossible that you can exercise your academic freedom in classes. The problem is that if you are connected to another regional power, the deal among local powers means you have to play in terms of their relationships. Another problem is that criticizing a political leader can be interpreted easily not only as insulting a political leader but as a symbol of a tribe. For example, criticizing Shah Masoud, Hikmatyar, Mazari, and Dustom can be understood respectively as insulting Tajiks, Pashtuns, Hazaras, and Uzbeks, the large races in Afghanistan. This complicated situation threats academic freedom so much. I'll give two personal examples -- one from an everyday city and the second about the capital. When I was heading a university in Farah, I asked my colleagues to not criticize the Taliban's fundamental concepts in the university because that region was influenced by the Taliban. The second is more interesting. Once I wanted to give a lecture in the philosophy department of Kabul Education University. They told me that they will provide for me the chance to give a free public speech if I accept to discuss an issue that nobody understands anything of at all. The colleague justified his position saying if you talk decisively, you have to take a side in the discussion and it will harm my position because I invited you and the opposite side will become angry with me! Third, the academic against academic freedom. High educational centers in current Afghanistan consist of public and private owners. The public centers are suffering from corrupt administration; in recent years Afghanistan was among the most corrupt societies alongside Somalia and North Korea. With regards to academic freedom, firing, hiring, and promotion in the public institutions happen if an individual only keeps the academic activities far from others' sensitivity which is as vast as your imagination. Let's give you a personal example. I was advised to control my expression in teaching the History of Islamic Philosophy in the National Academy of Sciences in Afghanistan, the only public research authority in the country while I was working as its adviser. It occurred because some colleagues thought this history insulted their religious beliefs. Of course, if I wanted to promote in the Academy, I had to sensor my research so much, even in the history of Islam. The private institutions threaten the academic because of financial or racial interests. Although there are some religious institutions that are restricted in terms of religious teachings and research, most centers are built to serve a financial agenda. Thus investors do not want to waste their money with giving the opportunity to the teachers to touch sensitive issues. Many have no interest in academic achievements so few private centers have an active press or research center. The poor teachers have to keep themselves silent within academic circles to not lose their jobs.